Start off your visit on the 18th (Mon): kick back and relax at Bains des Paquis, then take an in-depth tour of Musee d'Histoire des Sciences, and then take in the architecture and atmosphere at Basilique Notre-Dame de Genève. Get ready for a full day of sightseeing on the 19th (Tue): identify plant and animal life at l'Arboretum National du Vallon de l'Aubonne, explore the historical opulence of Chateau de Prangins, and then see the interesting displays at Museum D'ethnographie De Genève (Meg). For where to stay, more things to do, reviews, and tourist information, refer to the Geneva tour planner. If you are flying in from France, the closest major airports are Geneva Cointrin International Airport, Bern Belp Airport and Basel Mulhouse Freiburg. In December, plan for daily highs up to 5°C, and evening lows to 0°C. Wrap up your sightseeing on the 20th (Wed) to allow time to drive to Basel. Start off your visit on the 20th (Wed): see the interesting displays at Spielzeug Welten Museum Basel, admire nature's wide array of creatures at Tierpark Lange Erlen, and then take a stroll through Altstadt-Spaziergange durch Basel. To find maps, traveler tips, and tourist information, go to the Basel custom trip planner. Traveling by car from Geneva to Basel takes 3 hours. Alternatively, you can take a train; or do a combination of flight and train. Expect a daytime high around 9°C in December, and nighttime lows around 1°C. Wrap up your sightseeing on the 21st (Thu) to allow time to travel to Freiburg im Breisgau. 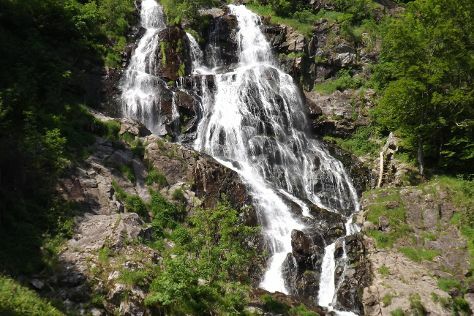 Kick off your visit on the 21st (Thu): contemplate the long history of Historisches Kaufhaus, then admire the masterpieces at Augustinermuseum, then pause for some serene contemplation at Church of St Peter im Schwarzwald, and finally take in the dramatic scenery at Todtnau Waterfalls. Get ready for a full day of sightseeing on the next day: make a trip to Burg Baden, look for all kinds of wild species at Vogelpark Steinen, and then explore the historical opulence of Rotteln Castle. To find ratings, where to stay, other places to visit, and other tourist information, refer to the Freiburg im Breisgau itinerary planner. Drive from Basel to Freiburg im Breisgau in an hour. December in Freiburg im Breisgau sees daily highs of 6°C and lows of 0°C at night. Cap off your sightseeing on the 23rd (Sat) early enough to travel to Colmar. Situated along the Alsatian Wine Route, Colmar is renowned for its German and French culture, well-preserved old town, numerous architectural landmarks, and its museums. Chateau de Kaysersberg and Old Town will appeal to history buffs. Explore hidden gems such as Vins d'alsace HORCHER and La Grand-Rue. Explore the numerous day-trip ideas around Colmar: La Bresse (Station de Ski La Bresse-Hohneck & La Montagnes des Lamas) and Hartmannswillerkopf (in Wattwiller). There's more to do: steep yourself in history at Les Fortifications de Neuf-Brisach. To find more things to do, maps, and more tourist information, read Colmar travel planner. Drive from Freiburg im Breisgau to Colmar in an hour. Expect a daytime high around 9°C in December, and nighttime lows around 1°C. Wrap up your sightseeing by early afternoon on the 26th (Tue) to allow time for the train ride to Strasbourg. On the 26th (Tue), contemplate the long history of Cave Historique des Hospices de Strasbourg and then stroll through Parc Animalier Friedel. On the 27th (Wed), you'll have a packed day of sightseeing: step into the grandiose world of Citadel of Bitche and then identify plant and animal life at Domaine Departemental de Lindre. To see maps, photos, more things to do, and tourist information, use the Strasbourg travel itinerary creator. Strasbourg is just a short distance from Colmar. In December in Strasbourg, expect temperatures between 6°C during the day and 0°C at night. Wrap up your sightseeing on the 28th (Thu) early enough to drive to Innsbruck. Rattenberg - Medieval pedestrian zone and Seekirchl will appeal to history buffs. Escape the urban bustle at SkiWelt Wilder Kaiser - Brixental and Leutascher Geisterklamm. Step out of Innsbruck with an excursion to Zillertal Arena in Zell im Zillertal--about 50 minutes away. It doesn't end there: explore the world behind art at Tyrolean Museum of Popular Art. To see where to stay, traveler tips, other places to visit, and tourist information, read our Innsbruck vacation planner. Traveling by car from Strasbourg to Innsbruck takes 5 hours. Alternatively, you can do a combination of train, bus, and flight; or take a train. Plan for a bit cooler nights when traveling from Strasbourg in December since evenings lows in Innsbruck dip to -3°C. Cap off your sightseeing on the 31st (Sun) early enough to catch the train to Salzburg. 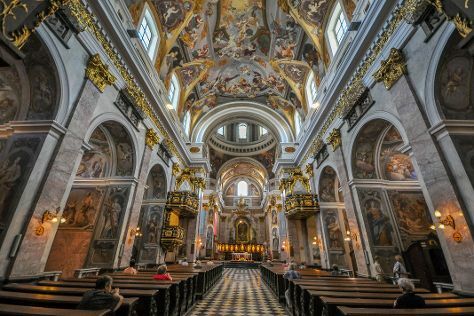 On the 1st (Mon), examine the collection at Red Bull Hangar-7, take in the spiritual surroundings of St. Peter's Abbey (Stift St. Peter), contemplate in the serene atmosphere at Franziskanerkirche, then stroll the grounds of Petersfriedhof, then make a trip to Stiegl-Brauwelt, and finally view the masterpieces at Residenzgalerie. Get ready for a full day of sightseeing on the 2nd (Tue): get a dose of the wild on a nature and wildlife tour. For reviews, where to stay, traveler tips, and other tourist information, refer to the Salzburg trip builder. Traveling by train from Innsbruck to Salzburg takes 2 hours. Alternatively, you can drive; or take a bus. In December, daytime highs in Salzburg are 6°C, while nighttime lows are -1°C. Finish up your sightseeing early on the 2nd (Tue) so you can go by car to Ljubljana. Kick off your visit on the 3rd (Wed): take in the spiritual surroundings of Franciscan Church (Franciskanska cerkev), take in the spiritual surroundings of Cathedral of St. Nicholas, then hit the slopes at Straza Bled, and finally take in the spiritual surroundings of Pilgrimage Church of the Assumption of Maria. Keep things going the next day: steep yourself in history at Radovljica Old Town, explore the activities along River Ljubljanica Kanal, then test your team's savvy at popular escape rooms, and finally take a stroll through Metelkova. For photos, ratings, more things to do, and more tourist information, read our Ljubljana travel itinerary planner. You can drive from Salzburg to Ljubljana in 3 hours. Alternatively, you can take a train; or do a combination of shuttle, flight, and train. Expect a daytime high around 3°C in January, and nighttime lows around -5°C. Wrap up your sightseeing on the 4th (Thu) to allow time to travel to Brussels. Step out of the city life by going to Foret des Soignes and Hallerbos - ‘'The Blue Forest’'. 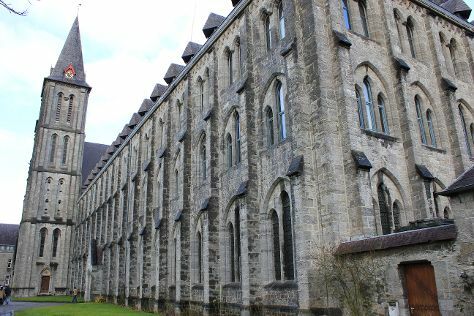 Deepen your sense of the past at sights like Abbaye de Maredsous and Basilica of the Sacred Heart. Explore the numerous day-trip ideas around Brussels: Saint Nicholas Church (in Ghent), Collegiale Sainte-Waudru (in Mons) and Cogels Osylei (in Antwerp). It doesn't end there: take in the spiritual surroundings of Abbaye de Villers and take an in-depth tour of Museum of the City of Brussels (Musee de la Ville de Bruxelles). To see more things to do, where to stay, traveler tips, and other tourist information, go to the Brussels vacation trip planner. Traveling by flight from Ljubljana to Brussels takes 4.5 hours. Alternatively, you can drive; or take a train. Expect somewhat warmer evenings in Brussels when traveling from Ljubljana in January, with lows around 0°C. Wrap up your sightseeing on the 7th (Sun) to allow time to travel to Montpellier. Visiting Ile de la Barthelasse and Plage de la Grande Conque will get you outdoors. Deepen your sense of the past at sights like Chateau de Peyrelade and Notre-Dame-des-Auzils. 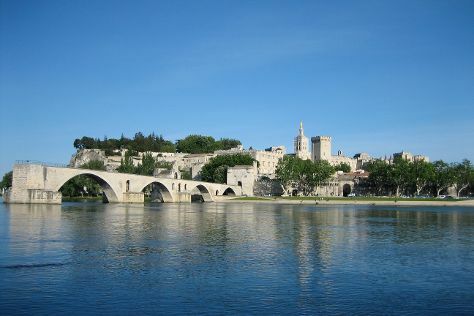 Change things up with these side-trips from Montpellier: Les Alyscamps (in Arles), Moulin CastelaS (in Les Baux de Provence) and La Maison des Vautours (in Saint-Pierre-des-Tripiers). There's lots more to do: contemplate in the serene atmosphere at Eglise Notre-Dame des Sablons, do a tasting at La Maison Noilly Prat, contemplate the long history of Musee du Petit Palais, and get great views at Tour Carbonniere. To find ratings, traveler tips, and other tourist information, read Montpellier trip planner. Do a combination of train and flight from Brussels to Montpellier in 5.5 hours. Alternatively, you can take a train; or drive. Prepare for somewhat warmer weather when traveling from Brussels in January: high temperatures in Montpellier hover around 14°C and lows are around 3°C. Finish up your sightseeing early on the 11th (Thu) so you can go by car back home.